Students: All current undergraduate, graduate or post-graduate students or past graduates from the University of Regina, as well as Campion College, Luther College, and First Nations University of Canada are eligible. 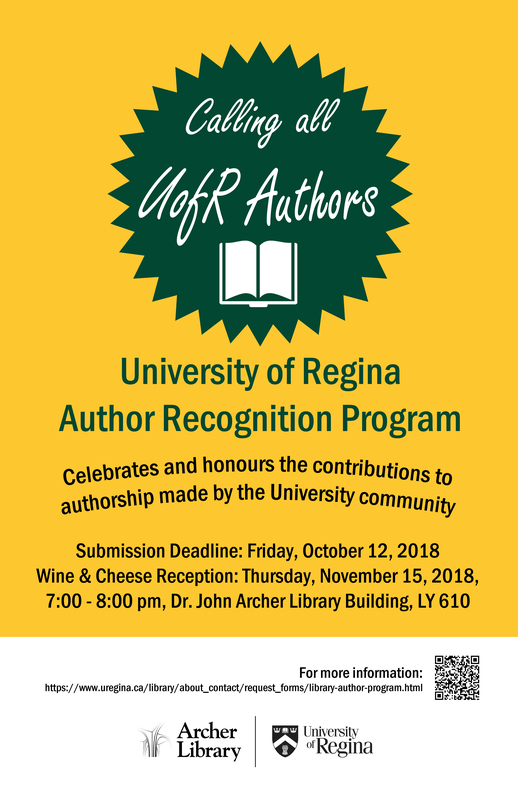 Faculty: All current and retired faculty from the University of Regina, as well as Campion College, Luther College, and First Nations University of Canada are eligible. Staff: All current and retired employees of the University of Regina, as well as Campion College, Luther College, and First Nations University of Canada are eligible. Reception Date: Thursday, November 15, 2018 7:00 p.m. - 8:00 p.m.